When moving, a lot goes into the entire process. You have the stuff to buy, stuff to pack, tools to maintain, and the entire experience can definitely almost cause you to lose hope. Uboxes Moving Service is a multifaceted moving company that makes it possible (as a matter of fact, easy) for people to relocate from place to place. By providing them with effective tools and services that will help the process, Uboxes Moving Service is providing a platform where people will have no issues with moving at all. They work effectively, and they ensure to help their clients till the end. All of this is to say that when you’re moving, these guys will definitely be effective partners for you. What comes to your mind when you think of a professional moving partner? Is it the ability to provide you with what you need? Is it counsel on the best tools and facilities for you? If all these things do come to your mind, then Uboxes Moving Service is the best place to get moving boxes. These guys provide the most effective moving tools that you can think of, and you will undoubtedly be able to get all you need from them. Their moving supplies and tools are of the highest quality for the price and your moving requirements will definitely be met and surpassed when you work with them. Also, if you are planning a move and there are parts of the process that are unclear to you, you can easily go to Uboxes Moving Service and request counsel. They will be able to provide an effective consultation and clarify aspects of the move for you. Uboxes Moving Service is a highly professional moving service, and you will be able to see the professional behavior throughout their working relationship with you. The interface at Uboxes Moving Service is very user-friendly, and you are sure not to have any issues while working with them. When you order boxes from Uboxes Moving Service, rest assured that you will get what you are owed in good time. They make sure to preserve the culture of punctuality, and they value your time very much. 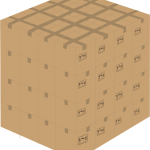 There is no doubt to the fact that the supplies you get from Uboxes Moving Service are of the highest quality, However, they also ensure to make them available at competitive and highly affordable prices.